In this news release Bayer HealthCare summarizes a long overdue post-market report on the safety, effectiveness, and tolerability of Essure, an implant and procedure designed to bring about permanent contraception in women. It is the first permanent sterilization alternative to tubal ligation. The Essure implant is a small metal and polyester-like coil that when placed in the fallopian tubes causes an inflammatory response. The resulting scar tissue that develops over a three-month period prevents sperm from entering the fallopian tubes. Given mounting concerns about the safety of this device, it is crucial for any news release addressing safety to present a complete and balanced portrait of clinical research findings. But this news release is unacceptably one-sided. It never mentions that nearly a third of the women originally enrolled in this study dropped out for various reasons that could reflect a bad experience with the device (e.g. adverse events or pregnancy). It also understates the levels of pelvic pain reported by women who did complete the five-year study, and it never discloses that study’s lead author (and source quoted in the news release) is a paid consultant to Bayer. When Essure was approved in 2002, the FDA required the original manufacturer to monitor the outcomes of women who were enrolled in a clinical trial, upon which the agency’s approval was based, for an additional four years. While this news release summary of the report portrays a successful product and process with few serious side effects, several news stories published days before the news release paint a very different picture. According to articles in the New York Times and other media, thousands of women are now asking the FDA to remove Essure from the market and inform the public about risks associated with the implant. Several others have filed legal action against Bayer, which acquired the implant from Conceptus in 2013. 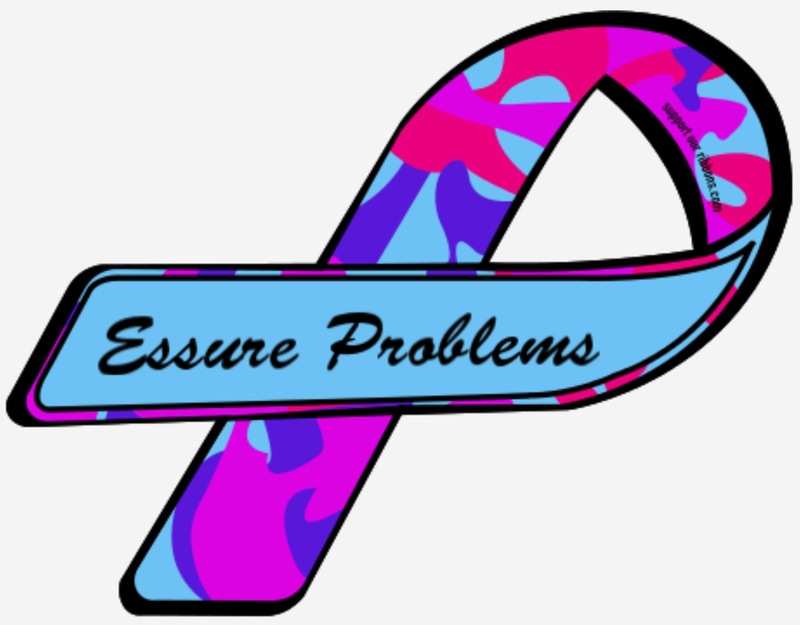 The Times article stated that the FDA has received more than 4,000 adverse event reports on Essure and that the original manufacturer received 16,047 complaints from women who had undergone Essure implants. In addition, ABC News in San Francisco reported that dozens of women staged a protest outside an obstetricians meeting while calling for the implant to be removed from the market. Another ABC affiliate in Arizona reported that the FDA will respond to a “Citizen’s Petition” signed by more than 2,100 women asking that Essure be taken off the market. It’s important that the safety of the device be given a fair public hearing so women considering sterilization can make informed judgments about the implants vis–à–vis tubal ligation. It should be noted that Conceptus, the original manufacturer, failed to report the outcome of the five-year study and that the results were submitted for publication a year after Bayer acquired the device. It’s a disappointment that this summary report was delayed nine long years after the study was completed and 13 years after the FDA approved the device. There was no discussion of costs associated with the Essure implant procedure. Presumably, the procedure was cost-free for the study participants in this clinical trial, or they received a nominal fee for participating in the trial. However, because the implant has been on the market for 13 years, it would have been beneficial to note the costs and whether the procedure is covered by insurance. An online search revealed the procedure is covered by some, but not all insurance plans. According to Planned Parenthood, costs range between $500 and $2,500. The news release did mention the rates of pregnancies for Essure users in this study — the main purpose of this device being pregnancy prevention. “Among the 364 women relying on Essure inserts….no pregnancies were reported.” But there’s no mention of the fact that women who dropped out of the study may have done so because they got pregnant (more on this below under the Quality of Evidence criterion). And as the study that’s the basis for the release points out, a recent search of the Manufacturer and User Facility Device Experience database found that “poststerilization pregnancy” accounted for 61 out of 457 (13.3%) adverse events reported by Essure users. The news release glosses over the harms that are more clearly described in the journal article where the five-year outcomes data are published. However, the journal article notes far more instances of side effects, which we describe in more detail under the Quality of Evidence Section below. Notably, 15 hysterectomies were reported in the study overall, and the cause of five them is unknown. The study investigators deemed the other hysterectomies not “definitely or probably” related to the Essure inserts, according to the study. The news release also summarizes one of the side effects claimed by study participants with this sentence: “Throughout the five-year study, pelvic pain was reported in no more than 7% of study participants at any visit.” However, a chart accompanying the published study states that more than one-third of the initial 518 participants experienced some type of pelvic pain (broken down into dysmenorrhea, dyspareunia, ovulatory pain and other), with the highest rates of pain occurring soon after the insertion of the implant. The basic parameters of the study are misleading as presented. The news release states: “Among the 364 women relying on Essure inserts who completed the full five years of follow-up, no pregnancies were reported. In addition, the Essure inserts were generally well tolerated.” That statement is accurate but doesn’t give the full picture. According to the journal article, 518 were originally enrolled. In that case, nearly one-third of the original study group dropped out for one reason or another over the five-year course of the study. Sixty-five women were described as “lost to followup throughout the course of the study,” which implies they may have simply stopped supplying data to the study coordinators. But an additional 22 women left for other reasons that were listed including nine who underwent hysterectomies, eight who “voluntarily terminated,” one who had unsatisfactory device placement, and others for various unrelated reasons. Among an additional 25 women followed for “safety assessments only,” 11 experienced unsatisfactory device location and six underwent subsequent hysterectomy after device placement. Given the relatively small number of volunteers in the study, both the drop out rate and the number of adverse events reported deserved further discussion in this news release. The release doesn’t promote fear-mongering. It is summarizing results from a mandated monitoring study. The news release was clearly authored and provided by Bayer. However, the impression given by the news release is that the study is an independent one, which is not the case. One of the authors (and a person whose quote is used in the news release), John E. Nichols, is also a paid consultant for Bayer as disclosed in the agenda for a recent scientific meeting. Nichols’s relationship with Bayer is not disclosed in the news release (or even in the actual manuscript), and he is quoted as the study’s author. Similarly, the third author, Mark Levie, is a paid consultant for Bayer and on the company’s speaker’s bureau, according to a disclosure from a medical conference. This fact is not disclosed in the news release. It is interesting to note that at the end of the actual manuscript, there is an “acknowledgement” of “Editorial support in the form of manuscript writing, styling and submission” by a paid consultant for Bayer, who is not one of the authors of the study. The practice of employing non-bylined commercial writers in the development of academic manuscripts (a practice sometimes referred to as “ghostwriting”) is widely viewed as a threat to the integrity of academic research. According to rules from the International Committee of Medical Journal Editors, the authors themselves are granted the authority to determine who meets the criteria to be listed as an author on an academic paper. This subjective standard makes it possible to downplay the role of commercial writers and exaggerate the contributions of academics. Critics of these rules have pointed to the ease with which they are circumvented by industry. This is, perhaps, more about the manuscript than about the news release. However, it would have been nice to know that in the study itself, at least two of the investigators as well as writers are on Bayer’s payroll. The news release says Essure is “the only available hysteroscopic approach,” which is currently true, though there were, at some point, other commercially available systems and devices. More importantly, the news release does not mention other common forms of permanent contraception such as tubal ligation (both regular and laparoscopic). The news release states that the procedure was approved by the FDA in 2002 and further that “Essure is supported by more than a decade of science and real world clinical experience.” In other words, it has already been on the market for 13 years. Does the news release include unjustifiable, sensational language, including in the quotes of researchers? We observed no unjustifiable or sensationalistic language.